Bed bugs are some of the most fearful insects, which are found only people’s homes and in farms. They are not very harmful because they don’t spread any disease, but they can cause severe allergies. 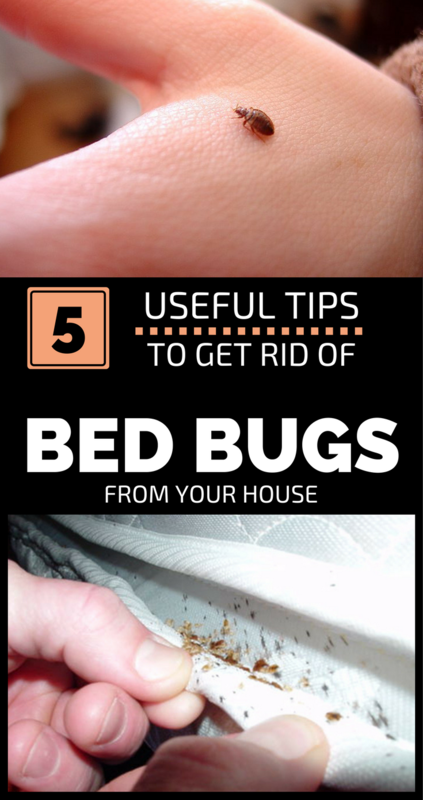 If you are facing this problem and you still can’t get rid of bed bugs, then you should try the following solutions that will definitely send bed bugs away. The first clue to identify bed bugs is the appearance of small and black spots on your mattress. The size of these bugs is between 4-8 mm. 1. Carefully, inspect all bedding in the house, including the pet sleeping areas, to see if you are facing an invasion. Bed bugs can be observed in the evening when they become active with a fluorescent lamp. 3. If the first method doesn’t work, use a few drops of lavender essential oil mixed with water and spray all over your mattress. 4. Carefully check the furniture around the bed, because it can also be infected. It is advisable to take it out, in an airy place, to wash it and to give it with insecticide. Also, all clothes should be washed at high temperatures to remove any trace of bed bugs.